Our last post talked about creating RESTful APIs for machine learning models in R using the native R package Plumber. One of the limitations we discussed was scalability (i.e. handling lots of requests). This could be particularly difficult for R machine learning models because R is a single-thread language. We dedicate two posts on solving this scalability issue for R web APIs. This one presents ways to scale up your RESTful APIs using Docker, a recent technology that has become popular since its birth, and the next one will talk about improving performance even further by using Amazon Web Service (AWS). For readers without a technical background, these are going to be a bit technical but the message is simple - using container and cloud technologies, we can improve performance of RESTful APIs easily even when the underlying languages and packages for the APIs did not consider scalability so much. For those who are not familiar with Docker, it basically allows you to run multiple operating systems (OS) in one machine. Before Docker, developers make applications, configure remote servers and deploy the apps to the servers. 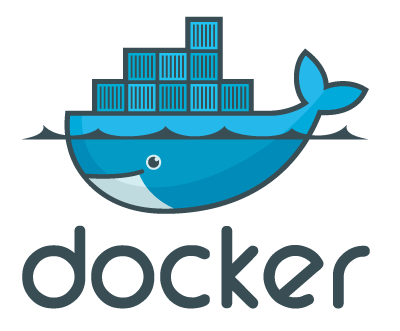 After Docker, developers write a configuration file (called Dockerfile) to automatically configure and deploy, which has improved efficiency and reduced chances of errors during operation. Lastly, we will make several Docker containers running the API and remedy the situation. First, start with creating a Docker image of our credit model. Then, let us run it. This will create a Docker container running our Plumber app listening to port 8000. Let us check here it works. Let us measure performance of our current deployment (a single container) using Siege (It is a piece of software by Joe Dog Software and allows to make many requests to a URL to see how the web application would perform in the wild reality). Preparing 1 concurrent users for battle. It takes about 50 ms on average to calculate default likelihood of a potential German customer if they all come one after one. Now let us make many 5 requests at a same time to see how our deployment can handle the situation. Preparing 5 concurrent users for battle. Longest transaction: 0.08 secs 0.34 secs (325% degradation). Now let us try to solve the problem by using multiple Docker containers. Let us create 4 more Docker containers, each of which listens to a different port. Because they are listening to different ports, we need nginx to load balance among the 5 containers. Let us check here if our nginx works. Note that we do not use the port number 8000 anymore because our nginx listens to port 80 and distributes load to our Plumber apps running ports 8000-8004. Longest transaction: 0.34 secs 0.14 secs (59% improvement). So far, we deployed our machine learning credit model using Docker containers and observed performance improvements. In the simple situation where 5 users concurrently make 100 requests, we could reduce both average and maximum response times to less than half by utilizing five Docker containers. This looks very promising - data scientists can deploy their R models in a native R environment and do not have to worry about not being able to keep up with an increased volume! Nevertheless, Docker containers run in a single host and a server is usually limited by memory size. Also, in some cases, you want to distribute applications to multiple servers so that even when one server fails, your overall system does not fail. In our next post, we will deploy the same model to multiple AWS servers each of which runs multiple Docker containers to further gain scalability and measure performance improvement.